Why didn’t I find this post while my son was in the NICU?! He’s 5 months old and 11 lbs now, born at 26 weeks, 1.5 lbs. I have pumped myself silly these past five months to make just barely (and now not enough) milk for him. It’s caused me so much anxiety, and stress, hanging onto a dead dream of nursing and feeding him only breast milk. My pumping schedule has caused so much tension in my home. Life revolves around my pumping schedule. Oh, NICU moms everywhere. I love you. You are doing a great job. Thanks for this post. Im 10months into pumping (just a tiny but now) for my 26-weeker…less than 2 months before we’re through flu season and I quit. So many conflicting thoughts aand emotions – thanks for voicing them. I was a preemie myself and my mom has mentioned the problems she had with breastfeeding me. I was born at 28 weeks and her body just wasn’t ready to start milk production, so she struggled as well for the first few months. By the time I came home she could only breastfeed a little, and the rest of my diet was formula. Now I’m 24 and expecting my own baby boy this summer! I’m glad to hear about Jax’s success and I know this is a post I’ll refer to if I need reassurance about formula feeding. I love this. I’ve just found this blog. I have been reading old posts all night. I’m in Australia and gave birth to twins earlier this year. My son Lincoln was born at 23w6d 1lb 4.6oz and my daughter Dakota came the following day 1lb 2oz. We only had her for a week but she has been her big brothers angel over the last 7.5months. I was on the other side of the fence; one of the Mum’s who would fill 2 bottles every 3 hours. I distinctly remember a nurse telling me on day 1 that I probably wouldn’t have a good supply being only 24 weeks pregnant and that I should consent for donor milk to be given. That was it for me. I was determined to prove her wrong. And I did. I am proud of the fact that I managed to donate 66L to the milk bank (17.4 gallons according to google conversion) and am still breastfeeding Lincoln, but his slow weight gain has me constantly worrying about whether I should switch to formula. The guilt happens with either option. I know my supply is good and he’s never hungry but I just want him to be fat!!!! Thanks for reading, Jenna! I’m glad you found us. Congratulations on your twins! I am so sorry for your loss of Dakota. ❤ She is an angel, for certain. I'm os proud of you for donating your extra breast milk – what an amazing gift you had to give. And wow – 17 gallons?!?! Amazing. Hang in there, mama – our doctors always told us that as long as the weight gain followed the curve (even if it was slow) that was ok. Keep me posted! I'd love to hear more about your family. I know I’m WAY late posting on this topic. I wish I had read this months ago. Like you I was so excited to get milk for my 23-weeker. I was doing something for him! He started on it, then had an intestinal perforation and had to stick to TPN so I built quite a large supply in the freezer. The LC in the NICU was really high pressure. I’d get comments like, “Oh, you’re only pumping X times per day.” And “Better pump while you can because you’ll likely dry up around 3-4 months.” And “Pump a lot because once you get your period your supply will plummet.” I had so much anxiety about how much milk I was getting! I thought I was doing a terrible job because I couldn’t manage to pump every 3 hours and wasn’t filling the bottles etc. Finally the NP at my OB’s office told me I was doing an amazing job for having delivered at 23 weeks. I burst into tears of relief. Once Rory came home my supply plummeted because I was exhausted and running to appointments and doing all the new mom things you have to do and figure out how to manage. I was ready to quit. Then his pediatrician said, “Well, if it can save him a hospitalization.” Ouch. I managed to get through his first birthday thanks to Fenugreek and Domperidone. By the end I was getting less than an ounce per day. My last session was a week ago today. I still feel guilty, but it’s also a HUGE relief. I love the line about Love being Liquid Gold. If there’s a time when I start to feel guilty, I am going to repeat that to myself. Typing all this and knowing there are others out there who had similar experiences is so helpful. Okay, I’m done with my narrative now. This was very cathartic! Love this. It’s so similar to my experience when my little guy was in the NICU, and boy did I feel guilty about it! Although I didn’t have the Reglan effects that you did, I had the same experience with the lactation consultants. Sigh. Thank you for sharing so that maybe others don’t feel the same pressure. 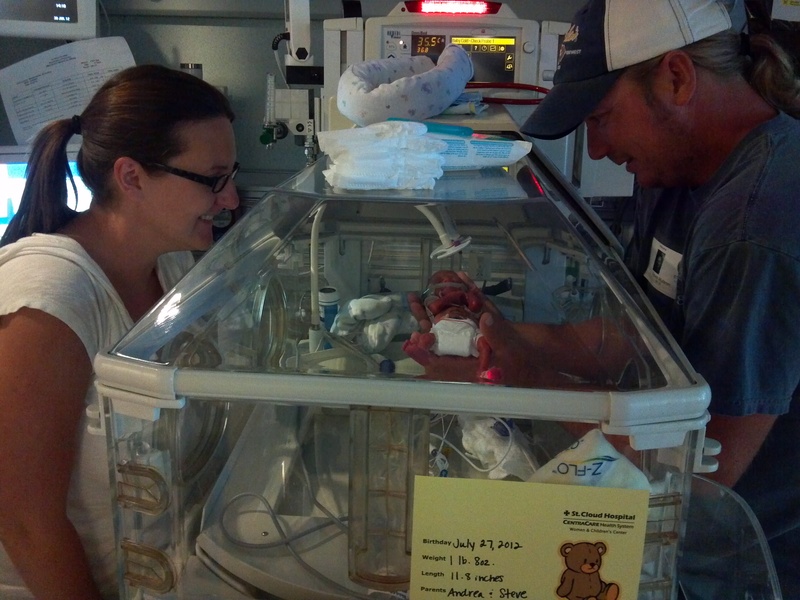 Also, I wrote about my NICU pumping experience at http://mythbustingmommy.com/i-support-you/ if you’re interested. Thanks for sharing your link. I really didn’t expect to hear from so many mama’s who had similar experiences. I was thinking I was the only one who struggled with pumping! Now I know that is not true. I like the idea of the “I Support You” campaign…no matter how we feed our babies we all just want to do what’s best for them and whatever that is might be different from kid to kid and mom to mom. I’m looking forward to reading more on Myth Busting Mommy! Well said. Breastfeeding is such a fraught topic. Add the pressure of the NICU- and a difficult and high stress situation is that much worse. I know I was lucky. My body was in over drive producing milk for triplets- even though I just had one baby. Things were way different for my first (and term) baby. My milk dried up by 6 months, and even before that we had been supplementing with formula since my supply was low. Thanks for sharing your link, Melissa! I agree: cuddling up to a machine is not at all like cuddling up to a new baby! 🙂 That’s great that Sam was able to do recreational feeding so early. Jax started at 30 weeks…and by the time he was ready to actually try breastfeeding, my milk had disappeared. But I was so glad that I at least had the chance to see what it was like! Oy, pumping… I pumped for my boys 2 month NICU stay and barely got an ounce on each side on a really good pumping session.They outpaced me by the time they were 3 pounds each! I nearly had a mental breakdown the day I DROPPED A BOTTLE OF MILK. My favorite thing (meaning, the worst thing) was that everyone told me “think of your babies! look at pictures of your babies!” while I was trying to pump. Well, my babies scared the living crap out of me and pictures of them made me unbelievably upset and stressed out those first weeks. Not so surprisingly all those pictures did not help me increase my supply. But the babies got fed milk, formula, or some mixture, they grew and came home. That’s all that I care about now. Ha – any one who says “no use crying over spilled milk” obviously never dropped a bottle of hard-earned breast milk! I almost had a breakdown when I did that, too. You’ve got it right now – they grew and came home. That is the most important thing! Thanks for telling your story. Out of necessity, I’m a formula mom too. My milk never came in when Charlie was in the NICU. The pressure and stress others placed on me was a lot of nonsense that I did not really need at the time. Nonsense – exactly! The last thing us preemie moms need is more pressure and guilt! Great post! Thank you! My story is similar. I topped out at about 1 oz and then he got sick and I sunk back down to 15 mLs per pump. I also took all that you took and tried acupuncture and…and…and…and. It’s important that those of us who struggle share our stories because the guilt is overwhelming. I’m surprised at the amount of people who are sharing similar stories. I felt like I was the lone “non breast feeder!” I’m so glad I decided to write about this…it seems to have brought a lot of feelings to the surface. I love our blog community! As usual, Andrea, you gave it everything you could. Perhaps that was a good combination as Steve could get more involved with the formula. Whatever you did, there was love attached and that is the best of all. Thank you. And I think you’re right, Steve really did like being able to feed him! Thank you for reaching out and for sharing your experience, Guilia. I think it’s great that so many moms can breastfeed successfully. But, I think there needs to be more support for those of us who try and can’t. We have each other to lean on! Andrea, I can’t imagine what you felt. I breast fed my first for the first 6 months of his life. When I had my second, I was very stressed out as I had a 3 year old running around who knew he could cause trouble when mom was busy….so I didn’t produce very much milk. I only lasted breastfeeding for 6 weeks with Isaiah. Talk about feeling the guilt. I felt as though I was completely cheating him because Noah got 6 months! I was terrified that he was going to be sick all of the time and going to have ear infections and wouldn’t be NEARLY as smart as Noah, because he wasn’t breastfed for as long. Oh and the bonding….I “bonded” with Noah for so much longer, and Isaiah was being cheated. Ugh, I wore myself out with worry and guilt. But when I finally gave him that first bottle of formula…I was just going to try once a day. I was sold, and he was formula fed from then on out….it was so much easier. So I get the guilt. I am just sorry you had to be given such a huge guilt trip from the lactation consultant. Shame on her. She should know better than anybody else, that some mom’s can’t breast feed, even if they want to. So telling you that is the ONLY thing you can give or do for your baby is ridiculous, insensitive and unprofessional. You gave him life, you gave him love through your touch, through your words, through your heart. Love is the liquid gold she should have been referring to. A mother’s love is like nothing else. You gave him all the gold he needed. Yes, LOVE is the liquid gold ! So well said 🙂 I will use that mind set to try to let go of the guilt with you all my babies were formula fed. Yes – let’s let go of the guilt together, Libby. Look at your kids – they turned out to be funny, creative, and thoughtful people. Good job! Wow – Kelley – YES! LOVE is the liquid gold! Thanks for sharing your story and for really helping to put things into perspective for me.